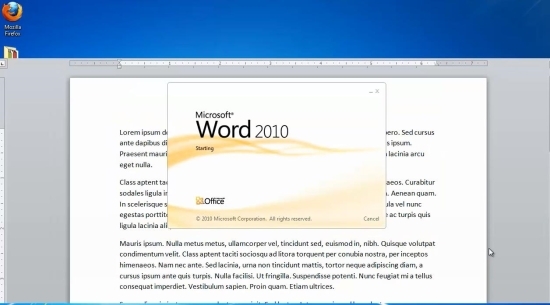 In this tutorial you will learn how to insert and remove a page break in Microsoft Word. Prerequisites: Microsoft Word, your document. Step 1. 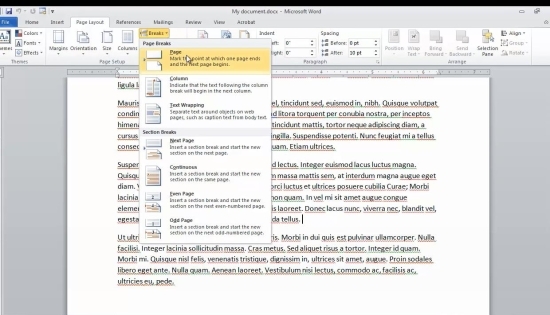 Launch Word, and open your document from within it. Step 2. Click “View”, and select “Print Layout” if you didn’t have it activated. Step 3. Go to the page you want to edit. From the Page Layout menu, select “Breaks” and choose “Page”. Step 4. You have inserted a page break into your text. If you feel like not stopping your typing flow, just type CTRL-Enter. Step 5. Now that you added the break, you need to know how to remove it. From the Home menu, at the “Paragraph” section click the little P turned leftwards. Step 6. 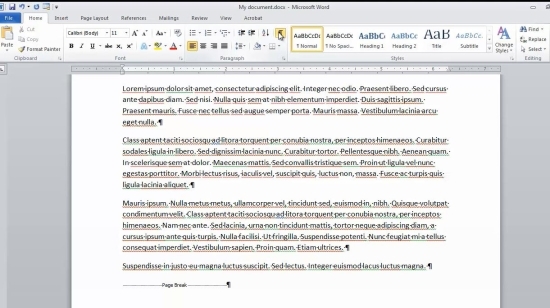 The page breaks in your text become visible. Select the one you want to edit and press delete. You have removed your page break. Step 7. Click the little inverted P again to hide the page breaks. Result: Congratulations! 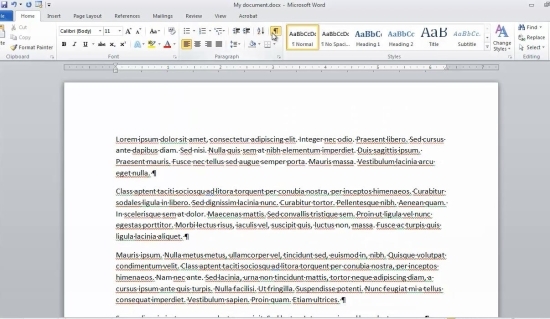 You have now successfully learned how to insert and remove a page break in Microsoft Word.